The Street Twin rides almost as good as it looks. Almost. The term ‘modern classic’ has gathered a bit too much momentum for my liking. It’s a phrase that has irked me from day one, as it A. makes no sense, and B. has usually been applied to a flawed vehicle that favours form over function. 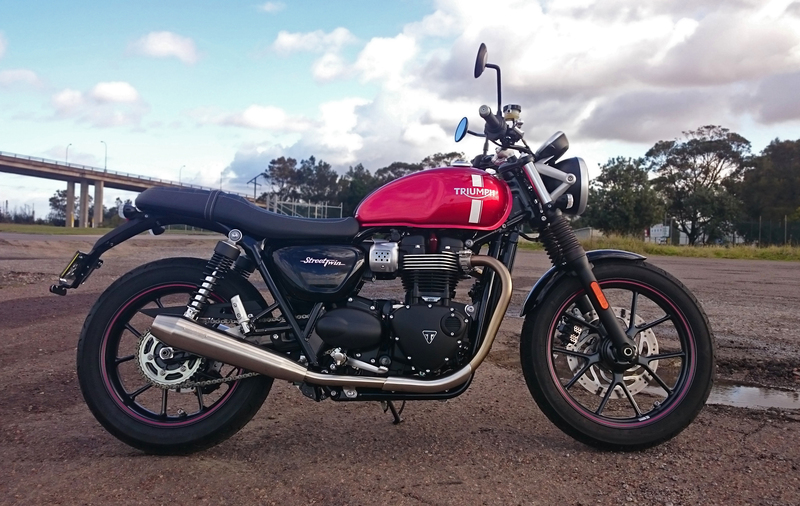 Now stay with me here as I’m not going to spend too much time up on this soap box, but as anyone who’s ridden an air-cooled modern classic Triumph will attest, they look far better than they ride. I’m probably not alone in thinking this, but I’d be close. The air-cooled Bonneville (of modern classic flavour) was one of Triumph’s most popular models, helping shape the Hinkley firm into the success it is today. The problem with the previous generation of modern classics was – for me anyway – they favoured looks over performance far too heavily. Let’s be honest, when you’re hiding fuel injection inside a faux carburettor you’ve probably taken a wrong turn. 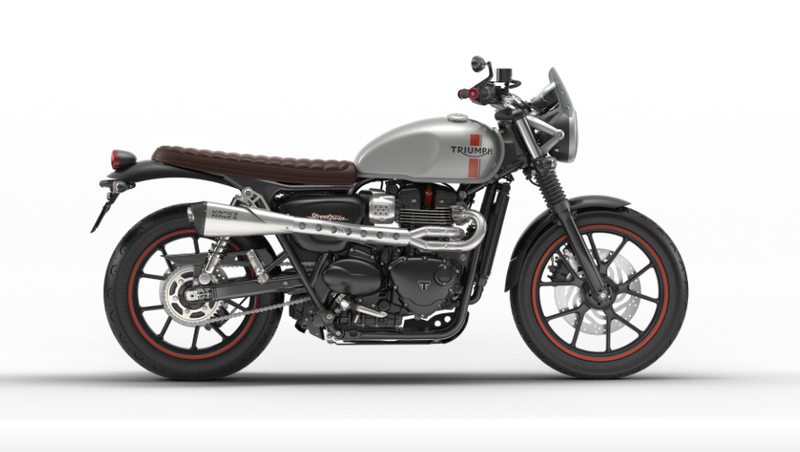 The baby of Triumph’s revised modern classic range, the Street Twin, has turned a corner though. Albeit a very slight one. Faux carburettors be gone! The Street Twin is tiny, even for my small stature. While the classic styling remains, it’s been toned down ever so slightly. The faux carburettors are gone, replaced with some faux metal covers (can’t win ’em all) and the performance is almost what you’d call brisk. The Street Twin’s new, now water-cooled, 900cc parallel twin actually gives the bike some decent punch while retaining that old-school look that the ‘inner city crowd’ like. The new motor is smoother than the old air-cooled twin, but still retains a refreshing amount of character as it spins out almost 20 per cent more torque than the boat anchor motor it replaces. Triumph have been clever in the switch to water cooling, hiding a small radiator between the bike’s front frame rails that could almost be an oil cooler. Not only that, the exhaust system’s catalytic converter is tucked in-between the two extractors. Neat, but I’m not sure it will hold up to the constant battering of road debris from the front wheel. Speaking of longevity, the 900cc twin’s transmission and stator covers are no longer metal, but a textured plastic, which leaves a slightly sour taste. This bike is the cheapest in modern classic range though,and in plastic places, it shows. 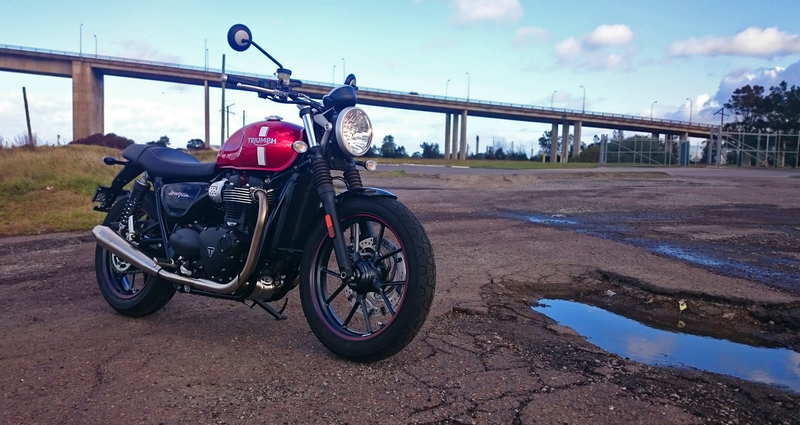 Enough of the gloom though, because the Street Twin is a hoot to ride. It’s super low 760mm seat heigh makes it a pretty friendly bike to jump on, and the noise from the two-into-two exhaust system is seriously fruity. While still looking like a bike your grandad rode, the Street Twin has traction control and ABS, although you’d be doing well to lock the single front brake in the dry which is weak at best. The transmission is still a five speed affair, but the 900cc twin’s 80Nm of torque means that leaving the bike in a one gear and riding the spread of torque is more favourable than chasing its 40 or so kW. Triumph offer over 150 genuine accessories for the Street Twin. Here’s our pick! My biggest irk with the way the bike rode was the ride-by-wire throttle that feels totally disconnected with what the throttle bodies are actually doing. The throttle’s complete lack of feel was most troublesome getting the 198kg (dry) bike off the line, resulting in either too many or too few revs. Once moving however, the handling is sweet and the bike’s weight is masked well. Its long wheel-base and 18inch front wheel make stability the name of the game, but the wide bars make tipping the bike in that little bit easier.